A custom 2014 Jeep Wrangler Unlimited Sahara, upgraded with Mopar parts, will be given away to a lucky winner in a special fundraising sweepstakes to benefit the March of Dimes. The Wrangler was donated by a Chrysler Jeep Dodge Ram dealership in suburban Chicago, and proceeds from the fundraiser will benefit an Illinois chapter of the charity. Some of the parts added for the custom upgrade include front and rear off-road bumpers, rock rails, steel body corner guards, interior accents using the March of Dimes’ signature color purple, and much more. Back in February, the Mopar customized Jeep Wrangler was featured at the Chicago Auto Show, right after the sweepstakes opened to the public. The sweepstakes will officially close at 11:59:59 PM PT on May 1, 2014, so there is still over a week to get an entry in for the sweepstakes. For the full rules of the eBay Giving Works March of Dimes Sweepstakes, click here. Want to learn more about all the available Mopar parts to customize your vehicle? Contact us at Bayside Chrysler Jeep Dodge. You can also download our mobile app to schedule a time to be seen in our quality service department. Be sure to like us on Facebook and to follow us on Twitter and YouTube to see our monthly parts and service specials. The parts arm of Chrysler, Mopar, offers thousands of different wants to modify and improve your vehicle. The accessory market is a big one totaling and incredible $70 billion dollars worldwide. That’s a lot of customization going on! What is it that people are buying? 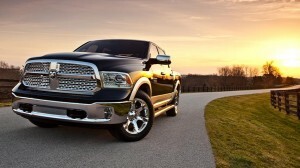 Chrysler has put together a list of the top purchased parts as well as which vehicles are the most accessorized. Starting with the vehicles, the first one to top the list seems like the most obvious choice. The heavy-duty Ram 1500. I’ve known enough truck lovers to know that the basics are never good enough. The number one part makes even more sense because of this. The perfect add-on for a truck, side steps and running boards. Second vehicle is the Jeep Wrangler. Once again, the list for the top vehicles and top accessory match up perfectly. Right underneath side steps in the top ten is Jeep Wrangler Tops. The most interesting one is the number 9. An electronic vehicle tracking system is for when your vehicle is stolen in aiding the cops find it. Make your own statement with customizing your vehicle. Shop the Mopar E-Store online with our website Bayside Chrysler Jeep Dodge. Make sure you take advantage of our monthly parts and service specials while you’re on our site. Like us on Facebook and follow us on Twitter to stay up to date on all the special offers we have at the website. Are you proud of your vehicle? Have you put any modifications into it that you find yourself unable not to tell friends and family about? Time to share that joy and pride you feel with the rest of the world. Mopar wants to see what you’ve made. Mopar has launched an initiative to get car lovers to open up about their creations. They’ve created a new Facebook tab dedicated for the show-offs. Now gear-heads the world over have a place to share with the Mopar Nation. All you have to do is submit the photo and that’s it. From there, a photo will be chosen at random to be shown off. Follow the link here to get started. Seems like a perfect time to pay a visit to the Mopar E-Store, available on Bayside Chrysler Jeep Dodge’s website. Give your ride a boost and see if you can get your vehicle featured on Mopar Nation. Make sure you also like us on Facebook and follow us on Twitter to see our monthly parts and service specials, only at Bayside Chrysler Jeep Dodge. It’s time for the North American International Auto Show to switch gears. The media only days are over and starting on January 19th, the public get the chance to enter the show room. 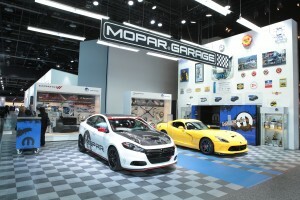 One area in particular should stand out as a beacon to car lovers and that would be the Mopar Garage. Taking up 1,015 sq-ft on the show floor, the Mopar Garage will be showing off all the latest and greatest things the part maker has. More than 300 different performance parts and accessories are laid out over a glass wall. There will also be plenty of supped up vehicles on display, one in particular is the new 2013 SRT Viper as well as the Dodge Dart Slingshot, all fully Moparized. Mopar will be also offering fans the ability to create their own garage at home. They will be offering for sale high-end commercial-grade toolboxes. They are offered with the logo of the company as well as three different colors of Mopar Blue, HEMI Orange, and White. Mopar will also have a line of both standard and commercial-grade custom cabinetry. If you’re interested, you can go to their website at www.wearmopar.com to learn more and make purchases. If you’re more interested in giving your own vehicle a tune-up, you can do so by visiting the Mopar E-Store at Bayside Chrysler Jeep Dodge. Be sure you like us on Facebook and follow us on Twitter for our full list of monthly parts and service specials. Mopar has always been proud of its fans. A company doesn’t get to celebrate a 75-year anniversary unless it has an incredible amount of support. Giving back to the people who helped the company survive the years is what the Mopar “Top Eliminator” program is all about. Mopar had asked their fans to put the pictures and details of their amazing rides online to see who had the best car. The call was answered far and wide and in order to determine the best of the best, Mopar again is asking the fans to give some aide. It’s time for them to vote on the winner. Starting today and staying open until October 21st, you can go online to vote on Mopar’s “Top Eliminator.” About 80 people came forward with their vehicles to compete in a contest that looked to have Mopar enthusiasts from all around the county show off their talent in modifying their car. The officials at Mopar have selected 10 lucky people for the finalists. The candidates were selected and judged based on criteria that included Mopar content, overall appearance, and other things such as the story detailing the building of the vehicle were all taken into consideration. The winner of the contest will be getting themselves the exclusive Mopar “Top Eliminator” trophy. 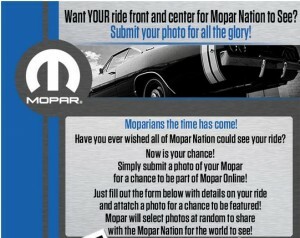 Go online to the Mopar “Top Eliminator” online competition on their Facebook page to cast your vote. While online, pay the Mopar E-Store a visit on Bayside Chrysler Jeep Dodge’s website. You can even view our inventory of new and pre-owned vehicles or schedule a test drive. Don’t forget to go to our Facebook page as well, and follow us on Twitter, for service and parts specials exclusive to the dealership. We took a look at the concepts last week that Mopar is bringing to the SEMA show in Las Vegas. Even more information has been coming out of what to expect from the auto part maker when the event goes live. Mopar is celebrating their 75th anniversary and want to send the message that this is still only the beginning. The show does seem to be, for the company, to be proving something. Whether or not that is their intention, they are definitely bringing their A-game. 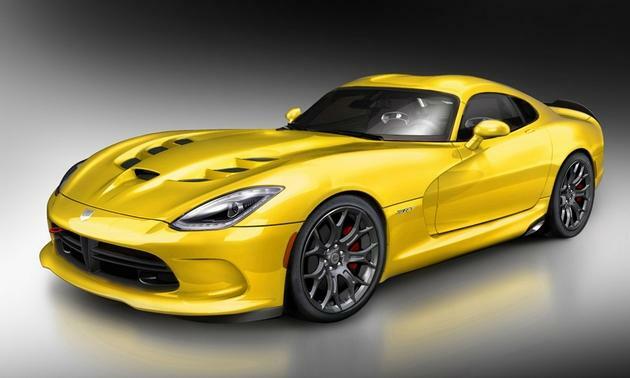 The most exciting car that will be debuting is the Viper SRT. Outfitted in a bright yellow exterior, the Mopar Viper SRT also comes equipped with a carbon-fiver cross beam which makes it lighter by 50 percent than the factory version. To complete the package, there’s also the “Track Pack” wheels that are in hyperblack and LED driving lights. Also getting some primetime at the show will be their Dodge Charger Juiced. Named after the orange color it is sporting, the Charger will come equipped with plenty of Mopar parts to ensure top quality. The engine is a Viper V-10 which allows for 650 horsepower and comes with a Mopar intake and exhaust. Next on the roster is the Chrysler 300 Luxury. 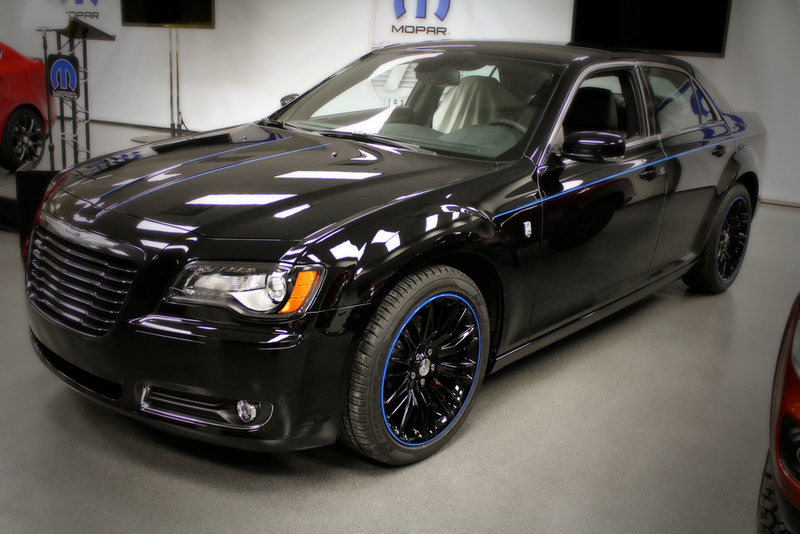 Mopar has covered the car with a True Blue Pearl Coat along with a platinum mesh grille. Driver comfort is ensured by having Katzkin leather on the seats and even the shift handle. There’s even a bright pedal kit along with Chrysler-logo door sills to really make the driver feel like they are in the lap of luxury. Finishing off the list is the Jeep Wrangler Sand Trooper. Sadly, it’s not Star Wars themed, but that doesn’t stop it from seeming space-aged in its technology. With a 5.7-liter Hemi V-8 engine, portal axles on the front and back that give the Wrangler an extra 5 inches of lift, and 42-inch Super Swamper Bogger tires, it could definitely compete in a pod-race. The SEMA show is building up to be an impressive display of just what Mopar is capable of. Perfect victory dance for a company in the 75th year of their life. Check out why Mopar has been around for so long by taking a look at their E-Store full of quality parts to customize your vehicle. Like Bayside Chrysler Jeep Dodge on Facebook, and follow us on Twitter, for more information and specials on Mopar! Tomorrow marks the first day of Mopar’s 75th Anniversary celebration. There shouldn’t be any surprise that on the eve of the big day that Mopar would make a major announcement regarding a vehicle getting the royal treatment. According to The Detroit News, Mopar chooses a model every year to make over. The first year was in 2010, where they choose the Dodge Challenger. The next year, they decided on the Dodge Charger. Now, in 2012, the special vehicle that’s getting the green-light for an upgrade is none other than the very popular Chrysler 300. The exterior of the Mopar 300 will be all-black with the blue Mopar stripe very thin along both sides of the car. The grill is a unique black chrome and the headlamp bezels are accented in black. The wheels are 20-inch forged-aluminum that are painted gloss-black with Mopar center caps. The wheels themselves are high-performance Goodyear F1 tires and the brakes are the same that are used on Dodge Charger police cars. For the car buyer who is looking for the best, Mopar is bringing out the big guns for their 75th anniversary. It really seems they want to remind the consumers just why their company has lasted for 75 years and why it’s going to continue to be one of the biggest names in the auto world for more years to come. Take a look at the Mopar E-Store to purchase their high-quality products for your own vehicle at BaysideChryslerJeepDodge.Net. Make sure to like our Facebook page and follow us on Twitter for more information on Mopar as they celebrate their 75th Anniversary. I never understood the reason for a navigation system until moving out to New York. After just spending a few hours driving around lost and weary in the middle of the city, there’s nothing I wouldn’t have given for a little screen telling me where I needed to go. Now I see the point about why GPS systems in a car have been so increasingly popular. The units have also grown in sales due to the fact that the technology is starting to drop in terms of pricing. It’s becoming easier and easier to get a hold of any level of a navigational equipment for a decent price. That’s caused more major makers into the field, from Microsoft to Apple. It’s definitely starting to become a must-have in any car purchase. 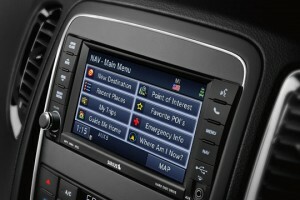 To that end, Autoblog.com is reporting that a new study is showing car navigation systems are expecting to quadruple by 2019. Places like China will be the ones to make the most gains, going from sales of 355,000 to 11.8 million by the time 2019 comes to pass. The study doesn’t just stop with that prediction. They see the traditional DVD-based tech being replaced by inexpensive in-car systems and with smart-phone based systems. How the market deals with this will be interesting, seeing if makers like Garmin and TomTom can survive this. You may already see the start of that with a brand new car release of this year. 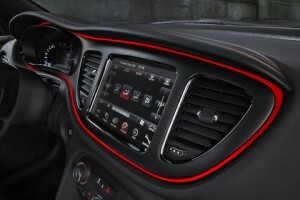 The 2013 Dodge Dart will come with the option to have a Garmin navigation system built in. Be sure to check out the online Mopar E-store at Bayside Chrysler Jeep Dodge to see how you can put a unique spin on your vehicle. Also don’t forget to like us on Facebook and to follow us on Twitter to see the latest in Mopar news.